One of Brazil’s booming beach destinations, Porto de Galinhas attracts hordes of tourists during holiday times. So what makes Porto de Galinhas so special? For starters, it boasts pretty white sand beaches, beautiful weather, warm waters, and a nice selection of accommodations in all price ranges. But what truly sets Porto de Galinhas apart is the stunning natural pools that form in the reefs at low tide where visitors can swim with large schools of colorful fish. Also known as the Switzerland of Brazil, this town is the highest in the country, located more than 1,600 meters (5,300 feet) above sea level in the beautiful Mantiqueira Mountains. Because it sits at such a high elevation, this resort town offers visitors a refreshing escape from Brazil’s heat during the summer months. Campos do Jordao is probably best known for its Winter Festival, a popular classical musical event held in July that draws musicians from around the world. This town is also a popular draw with active visitors, who can choose from a large variety of outdoorsy outings, including horseback riding, jeep tours and cable car rides. For most people, Brazil conjures up images of stunning beaches and verdant jungles — not sand dunes. But one of its most interesting national parks, Lencois Maranhenses, is home to massive dunes. But this is not the desert. During July, torrential rains actually create gorgeous clear lagoons that can reach depths of 3 meters (10 feet) in some areas. Interestingly enough, even though these pools are temporary — disappearing during the dry season — there are fish in them. Swimming is allowed, but visitors should be prepared for warm waters. Temperatures in these pools can be as high as 30 °C (87 °F). Also known as Floripa, the 42 beaches of Florianopolis are popular with surfers, partyers and sun worshippers. Arguably, its most popular beach is Joaquina, which boasts huge sand dunes and excellent waves. 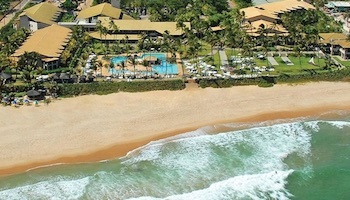 Though as of late, its neighbor Praia Mole has been stealing some of Joaquina’s thunder. Travelers who like to hangout with the rich and famous should head to Jurere, which boasts huge homes and some of the best night clubs in the area. For those seeking a little solitude, Lagoinha do Leste is the beach they’ll want to visit. One caveat, this beach requires about a two-hour hike to reach it. 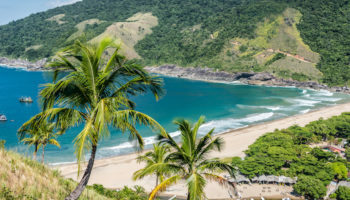 Blessed with postcard-worthy beaches, tall cliffs and clear waters, Praia de Pipa has become one of Brazil’s best-known beach destinations and is a favorite with both locals and tourists. The town is also known for its vibrant nightlife and offers visitors a slew of activities, including boating and surfing. But as popular as it is, the town, itself, is limited in size as it is surrounded by Environmental Protected Areas. That means that visitors can still enjoy the natural beauty of this area and swim in waters that are teeming with dolphins and turtles. Depending on one’s perspective, the Museu de Arte Contemporânea (Modern Art Museum) looks either like an upside down light fixture, a UFO or an elegant serving bowl. Designed by noted architect Oscar Niemeyer, the museum opened in 1996 in the Niteroi suburb city of Rio where it overlooks Rio and the bay. Some visitors say the building itself is more impressive than its contents. Travelers who like beaches are likely to gravitate to Buzios, a resort town 105 miles from Rio de Janeiro. 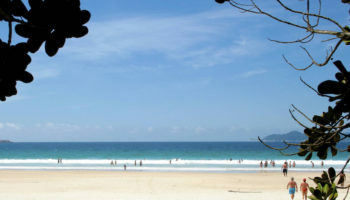 Buzios has 23 beaches, catering to a different tourist, i.e., surfers will like Geriba while families may prefer Tartaruga. The waterfront features a fishing village with a harbor filled with colorful boats. Popular activities include snorkeling, scuba diving, hiking, bike riding, shopping for crafts, and dining on the Rua das Pedras. One of Brazil’s first national parks, Aparados da Serra was created to protect Itaimbezinho, one of the most impressive canyons in Brazil. Fringed with subtropical forest, the narrow canyon features sheer parallel escarpments with a depth of almost 720 meters (2360 feet). Two waterfalls cascade into a stone plunge pool that spills over into the Rio do Boi, which winds its narrow way along the canyon bottom. A steep rocky path leads to river from the canyon rim, but it’s a tough, hair-raising walk that shouldn’t be undertaken lightly. When does a Roman Catholic cathedral not look like a cathedral? When it’s designed by Oscar Niemeyer. The Cathedral of Brasília is unique among cathedrals. It is composed of 16 concrete columns, each weighing 90 tons, which resemble an Indian teepee more than a church. Completed in 1970, statues of the Four Evangelists, designed by Dante Croce, grace the front. Indeed, there is nothing very traditional about this innovative church. Pelourinho is the historic center of Salvador, which was the first colonial capital of Brazil, and one of the oldest cities in the Americas, being established in 1549. The Pelourinho, which translates as “pillory.” is where slaves were punished. This old town is filled with graceful, colorfully painted pastel buildings, music and dancing in the streets. It’s a good place to buy local crafts as well as enjoy a traditional prawn dish. Ilha Grande, or “Big Island,” is a beautiful island off Rio de Janeiro that is largely undeveloped. It was first a leper colony and then was home to a maximum security prison that closed in 1994. 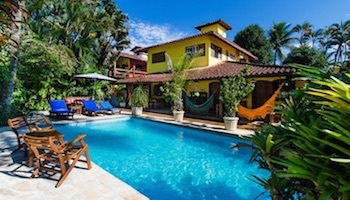 Consequently, beautiful tropical beaches and virgin Atlantic rainforest abound on Ilha Grande. Vila do Abraão, the largest city on the island, has only 1,900 people. Motorized vehicles are banned from the island. Chapada dos Veadeiros is a national park in Goias state about 240 km (150 miles) from Brasilia. Many travelers say their visit here was the highlight of their Brazilian trip: cascading waterfalls, lush greenery, wildlife and hiking trails. They warn, however, that some of the hiking trails are demanding so hikers need to be in good physical condition. They recommend at least two days in the park. Jericoacoara, more commonly known as Jeri, may be hard to reach, involving bouncing over dirt roads, but the trip to reach this unspoiled beach town just may be worth it. Hammocks over the water, white sand beaches, sandy roads that usually don‘t allow motor vehicles all combine to make Jeri a charming place to just chill out. A popular activity is watching stunning sunsets from atop the Por do Sol dune. The Curitiba-Paranagua Train Ride, officially known as the Serra Verde Express, is considered one of the most scenic train rides in Brazil: It cuts through the Atlantic rainforest, going through 14 tunnels and crossing 30 bridges on its 84 km (52-mile) route between modern Curitiba and historic Paranagua in Parana state. Six days a week, the ride ends in Morretes, only continuing to coastal Paranagua on Sundays. 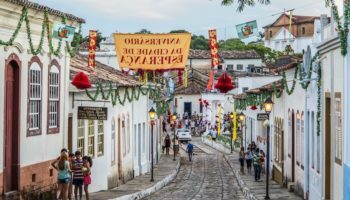 Travelers who enjoy walking without fear of hit by motor vehicles will appreciate Parati (also spelled Paraty) as vehicles aren’t allowed in the historic town center. 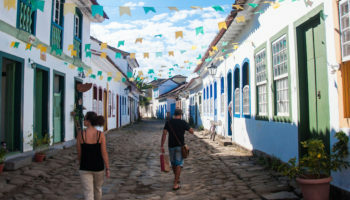 With colorful buildings and pristine beaches, Paraty is considered one of Brazil’s historic gems. Located 200 km (125 miles) south of Rio, horseback riding through the rainforest that ends at the sea is the area’s top attraction. Centuries ago, this 16th century colonial town was a major exporter of gold to Europe. 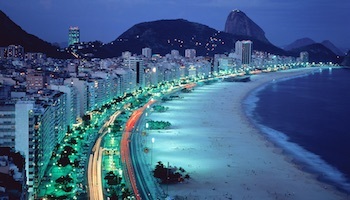 Located in Rio, Copacabana is one of the world’s most well-known beaches. It is approximately two miles long and lined with hotels and expensive homes, though there are also much more modest residences scattered in between. A beautiful boardwalk with a black-and-white checked pattern of Portuguese stone flanks the sand. 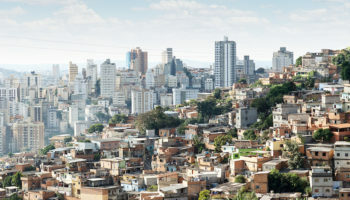 This is a very vibrant neighborhood that is home to Rio’s famous New Year’s celebration and several interesting attractions, including the Copacabana Fort, which was constructed in 1914, and the glamorous Hotel Copacabana Palace. Teatro Amazonas or Amazon Theatre is an opera house located in Manaus, in the heart of the Amazon Rainforest. It was built during the heyday of rubber trade using materials from all over the world, with furniture from Paris, marble from Italy, and steel from England. On the outside of the building, the dome was covered with 36,000 decorated ceramic tiles painted in the colors of the Brazilian national flag. For ecotourists, Bonito is the jumping off point for some of the most unique natural attractions in Brazil, including stunning waterfalls and caves. However, its most popular draw is its extremely clear waterways, where you can swim with fish. And for the most adventurous, there is Abismo Anhumas, where visitors can rappel to the bottom of a cavern and walk among stalagmites and other cave formations. Visitors can also choose to snorkel or even dive in the cavern’s waters, which contain even more otherworldly formations. Another well preserved colonial city, Olinda is located on the Brazil’s northeastern coast, just north of Recife. Olinda is a colorful city, with its red-roofed white buildings that contrast with the blue of Brazil’s north Atlantic coast. 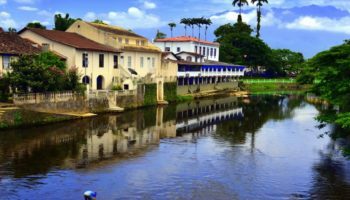 The city features a number of major touristic attractions, such as a historic downtown area, churches, and the famous Carnival of Olinda. Many bars, restaurants, artist and craftspeople studios add charm to the old-town setting. Which attractions in Brazil do you consider to be the most interesting? i want to go to brazil soooooooo bad and this makesme want to go even more. this is reeealy goood ooh when am i gonna get the chance to go to a place like this! brazil is certainly an astonishing & breathtaking place to visit.My visit was a memorable 7 once in a blue moon one.Hats off to brazil!!!!!!!!!! 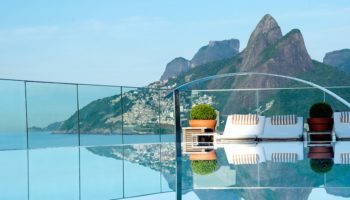 Very good your list, I am Brazilian and agree to the destinations mentioned in my blog I list the 10 best places in Brazil to meet. The Pantanal is amazing. check out Pantanal Ranch Meia Lua – It’s in Miranda, a wonderful ranch to use as a basis for your travel into the Pantanal. 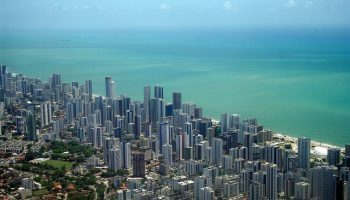 In my opinion, as a Brazilian who loves to travel, the best places in Brazil are: Bonito (MS), Jericoacara (CE), Abrolhos (BA), Arraial do Cabo ( RJ), Búzios (RJ), Praia do Forte (BA), São Miguel dos Milagres (AL), Pipa (RN), Chapada Diamantina (BA), Gramado (RS), Florianópolis (SC) and Rio de Janeiro (RJ). Beautiful sceneries! I am coming to Brazil soon. However, u will be amazed with what Uganda, the pearl of African possess! Visit Curitiba, the best city in Brazil. Its amazing to think about the scenery of top tourist places. I am coming to Brazil in the first week of December, 2016. But I am afraid of whether I would get any time to see all the interesting places as I like due to time constraint. Even that I should try to travel as much as I can during my stay in Brazil. And we can put so many places into this list! Chapada Diamantina in Bahia State is, for me, a must-go-place for everyone in Brazil. Also the Chapada de Veadeiros in Goias State must be into the list, a paradise in the middle of brazilian savannah, UNESCO whs. The new touristic fisherman villages are also an amazing destination: Canoa Quebrada, Genipabu, Dunas de Rosado, Caraivas… Sure we need a ”Top100” for this country. Just visit praia dos Carneiros, the best place in Brazil.